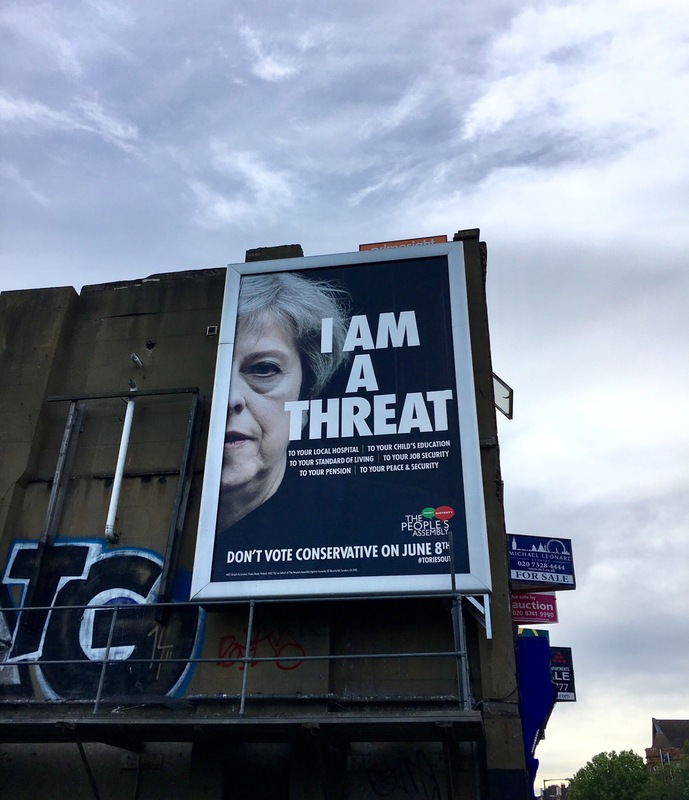 A number of anti-Conservative groups, seemingly unaffiliated to other political parties, have started advertising for the “anyone but Theresa” cause. 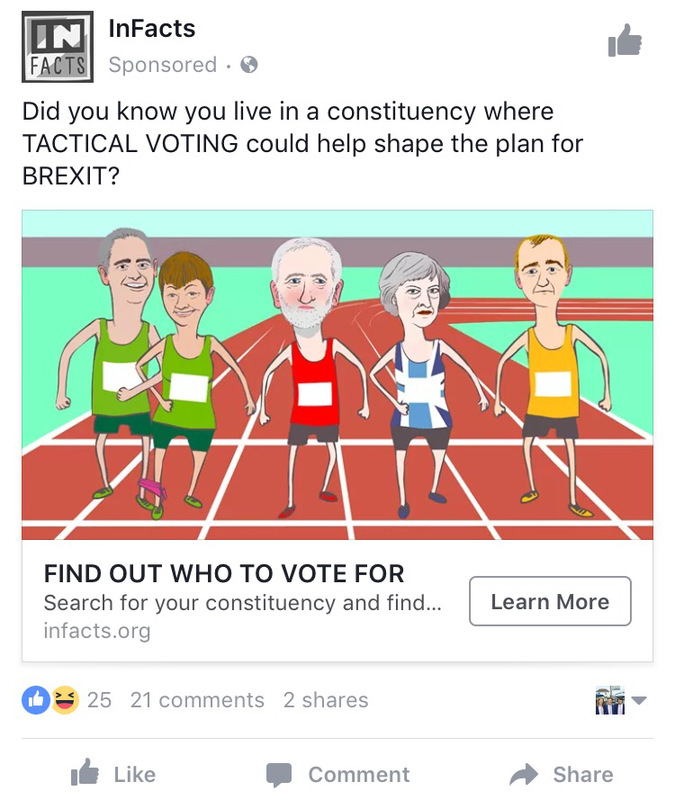 InFacts – a journalist-led organisation who say their aim so to make “the fact-based case for Britain to remain in the EU” – are running Facebook ads to encourage anti-Brexit tactical voting. Users who click through can find their constituency and receive advice about the candidates running that oppose Brexit. 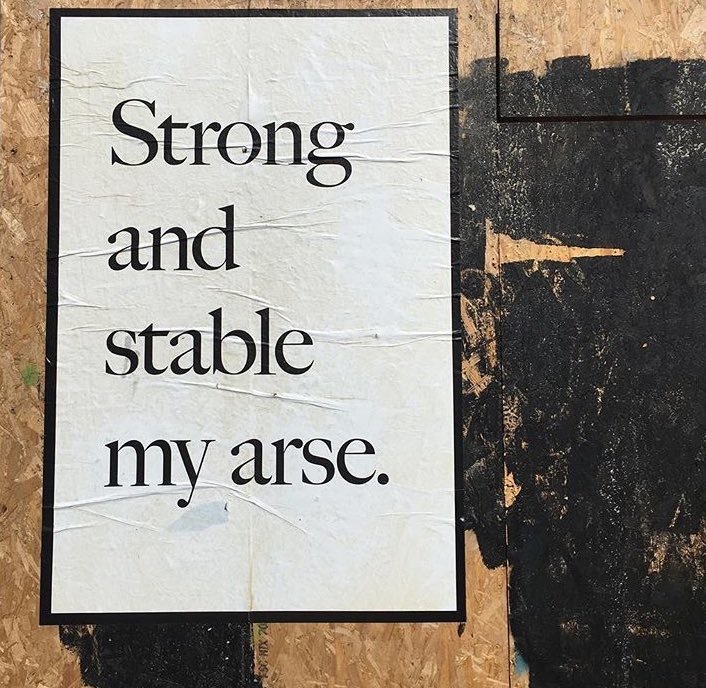 Artist Jeremy Deller, who won the Turner prize in 2001 and represented Britain at the 2013 Venice Biennale, is running a poster campaign entitled “strong and stable my arse” designed to provoke anti-Conservative sentiment. The art direction is – unsurprisingly given the sponsor of the attack – very well done indeed. And the People’s Assembly are running an ad accusing Theresa May of being a threat to everything from hospitals, schools, jobs, pensions and more. 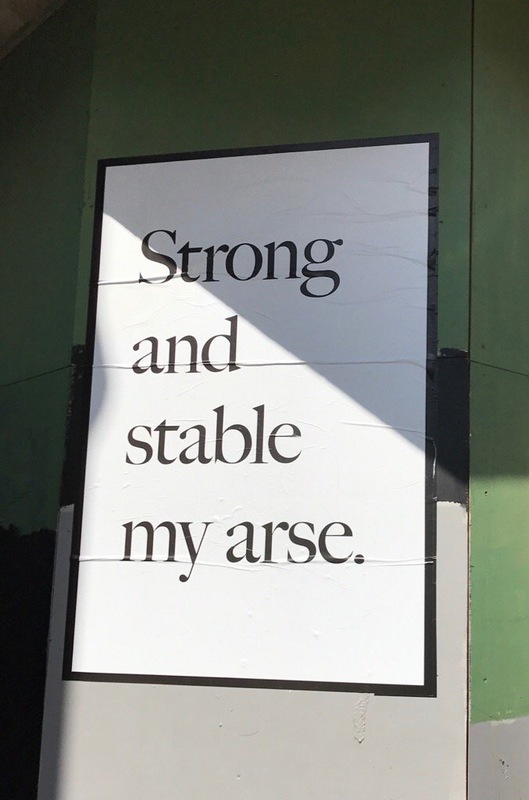 I suspect neither of the two posters will do much to persuade someone lightly considering voting Conservative – they’re aggressive in tone without having any real argument – but I imagine they’ll be very effective at getting the most fervent anti-Theresa activists fired up and will certainly help sure up the Labour Party’s base. The anti-Brexit campaign currently seems a bit like yesterday’s battle, which is incredible given that the negotiations haven’t even started, but if the media narrative switches back to the EU in the final week the relevance (and therefore effectiveness) of the campaign will likely improve.